The Gold Coast Commonwealth Games put on public display the best and the worst of our social values. The final scorecard was largely positive with the major exception being the unnecessarily nationalistic approach of our media coverage. Our leaders were unusually cooperative. The Prime Minister, the Queensland Premier and the Gold Coast Mayor each took pride in their role in funding or supporting the games. Their relationship was probably much less easy beneath the surface and some leaders demanded their personal time in the sun, which explained the interminable speeches at the closing ceremony. These were later the subject of an apology. But the federal-state-local relations effort did seem to be largely collaborative. The games' sporting competitions themselves illustrated a healthy mix between collective and individual effort. It takes a village to raise an elite sportsman or sportswoman. We praise the talent and sheer hard work of individuals. But competitors in individual sports acknowledged that they don't succeed through their own efforts alone, but always rely on support by family, schoolteachers, coaches and communities. In team sports the collective spirit was even more visible. Such teamwork often demands the sacrifice of the individual to the larger good. Each team member is given a specified role. Not to be a team player can mean failure no matter how talented an individual is. In these team sports each member gets recognition when medals are won. Everyone wins together. An even better illustration of selfless teamwork occurs when teams work together in individual sports like cycling. In the longer bike races the team members, each with a role specified by the coach, sacrificed themselves so that one member of the team would ultimately be successful. This is team work at its best. The games were also a positive model for Australian society in other ways, illustrating values in which sport is often well ahead of society. The first was in the equal recognition of the rights and skills of men and women. There was a commitment to an equal gender balance still not practised in wider society. The balance wasn't perfect, but it was pretty good. The number of medals available to men and women was equal. In this respect the games were better than the cultural norms of some of the competing countries. Sports men and women emerged as leaders for gender equality in public life generally. "Wheelchair racer Kurt Fearnley, one of the stars of the whole program, believed that the games were a model for society and a driver of wider social change in workplaces." The second was in the much greater integration within the sporting program of disabled athletes alongside able-bodied fellow competitors. Para-competitions were not always televised live, but they generally got a pretty good run. 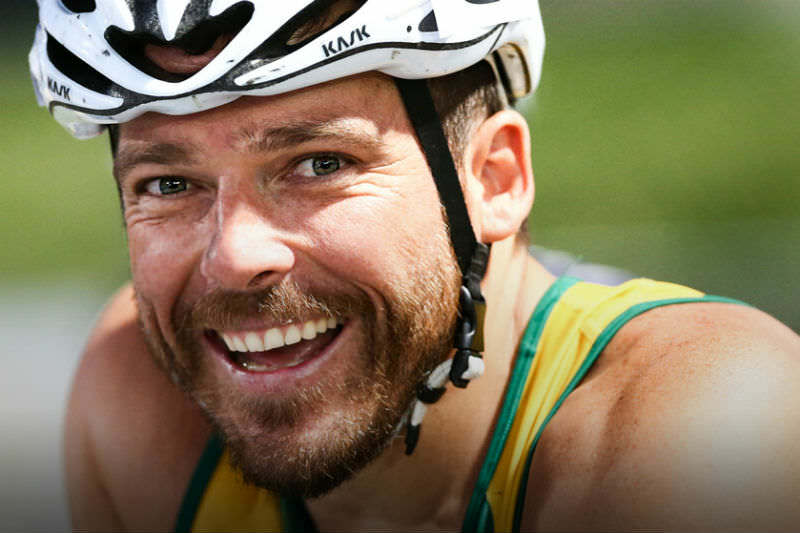 Wheelchair racer Kurt Fearnley, one of the stars of the whole program, believed that the games were a model for society and a driver of wider social change in workplaces. The third was Indigenous inclusion. The opening ceremony set an appropriate standard by emphasising Indigenous culture, and Indigenous athletes were afforded positive recognition as role models. The Indigenous rights' protest made an impact but it used the games as a suitable vehicle for campaigning rather than being against the games as such. The fourth was in the frequent examples of generosity towards fellow competitors which occurred alongside fierce competition. Female athletes in the 10,000 metres waited at the finish line for less talented athletes to finish. Large fields were encouraged to compete in swimming and athletics sprint races even though most competitors had no chance of victory. Participation was valued alongside success. That is not to say that sport is invariably inclusive. By its nature elite sport is always somewhat exclusive in its search for high achievement. Equality for LGBTQI athletes is a goal only slowly being achieved against strong social opposition in some countries. Against this generally positive background the media persisted in an approach to presentation and commentary which was needlessly one-eyed. Australian athletes often got the lions-share of the television coverage. Within events the cameras and commentary focused on Australians to the neglect of others. Swimming coverage was the most guilty of this bias. Athletics was better because Australians were not as dominant and the nature of the events, especially the more elongated field events, was different. It is only a short step from this sort of media coverage to encouraging an ugly Australian approach to sport in which winning is everything. Unfortunately such an attitude is too familiar. Fortunately, the spirit of the games themselves demonstrated a much healthier side to our sporting culture. The Commonwealth Games did produce some memorable moments. Like many others, I watched with much interest (and investment). I wanted Australia to do well, but individual and team excellence were always cheered. The para competitions, especially in swimming, were usually included in prime time viewing. It's true that considerable support goes into making an athlete but, on the day, they are alone (even in a team setting). As a nation, we can invest a lot of emotion into wanting a particular athlete or team to do well. A case in point was the overarching media attention on the Campbell sisters. Would Cate Campbell crumble as she did at the Rio Olympics? How did Bronte feel about often being second best? The media was heavily invested in these sorts of questions. At the end of the day, it is for the athletes themselves to judge how they performed and to know that there is a life to be lived away from the spotlight. A most enlightening statistic from the Games is that on a per capita population basis, New Zealand comprehensively thrashed Australia in both gold and total medal tallies. I don't agree with those who rubbished the Closing Ceremony. The athletes more than got their due over the duration of the Games and displayed crass bad manners by snubbing cultural aspects of the event, such as Greta Bradman's stunning voice. In that sense, sport was very much in evidence at the closing ceremony as Australia's false god!